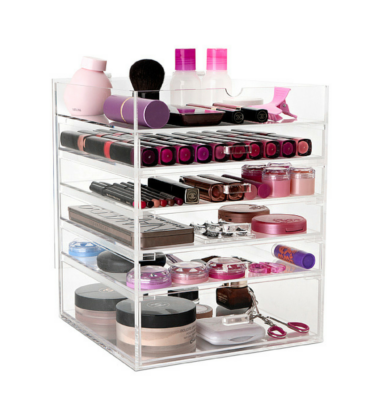 Our mirrored makeup storage range is not only chic but practical. 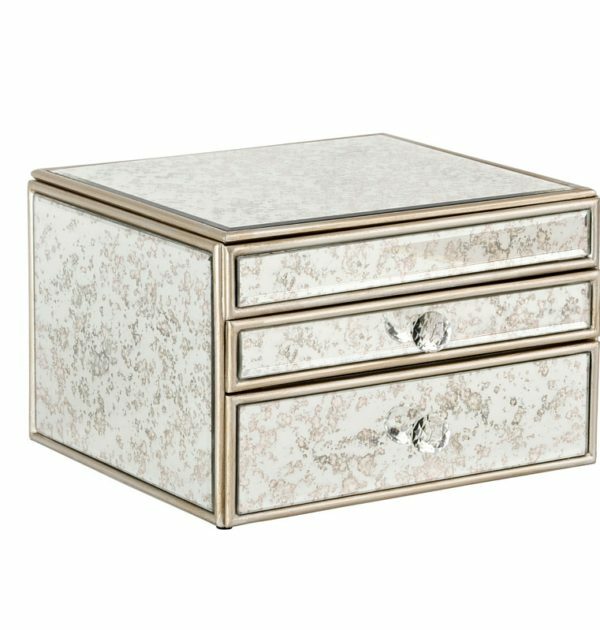 Keeping all of your beauty essentials in order not only will your makeup be organised in this beautiful mirrored makeup box but it will be a gorgeous stylish addition to your bedroom. 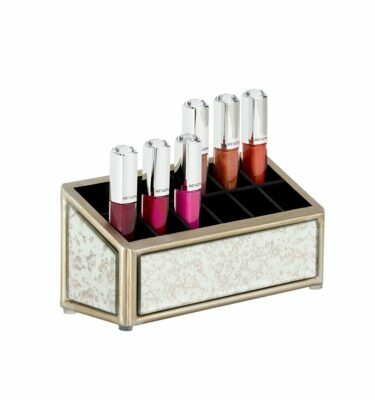 Our Mirrored Makeup Box features three storage compartments, including a flip top section with built in bevelled edge mirror! 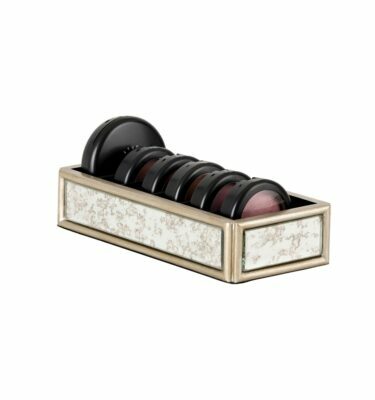 Simply flip the lid open and use the built in mirror to apply your makeup! Lined with black felt and finished with two crystal faceted handles this piece will be a favourite for years to come. 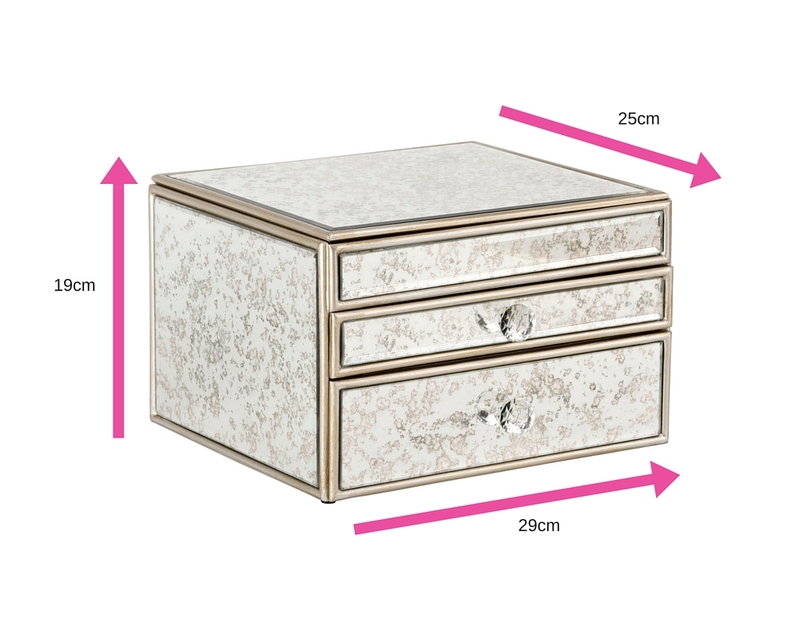 Item measurements can be found under the additional information tab. Free tracked delivery on orders over $40! 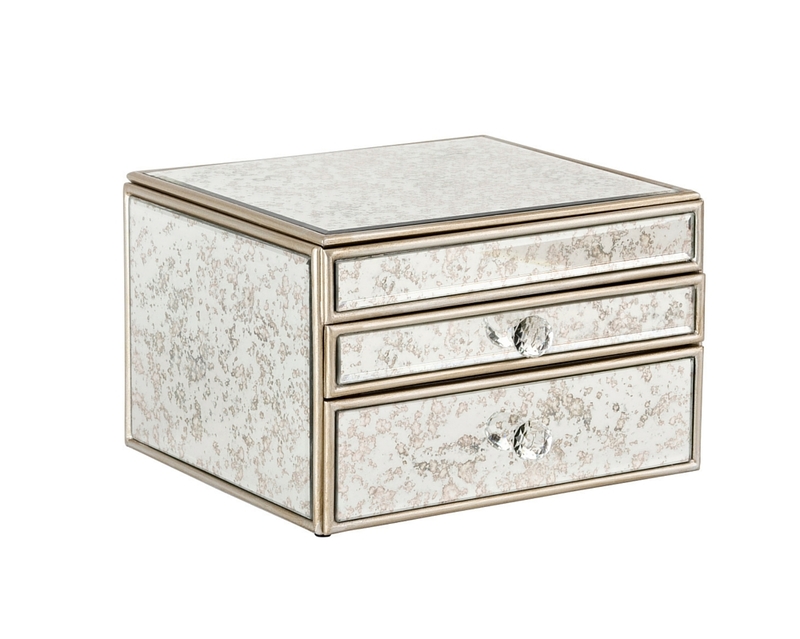 As soon as I saw this mirrored makeup box I had to have it! 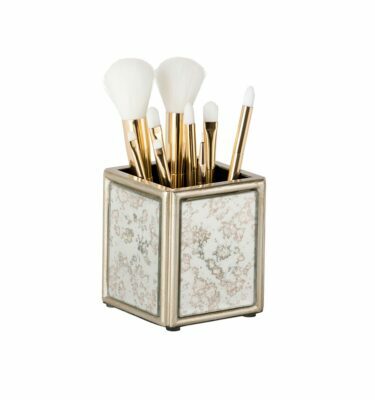 Love at first sight, I have the matching brush holder as well. 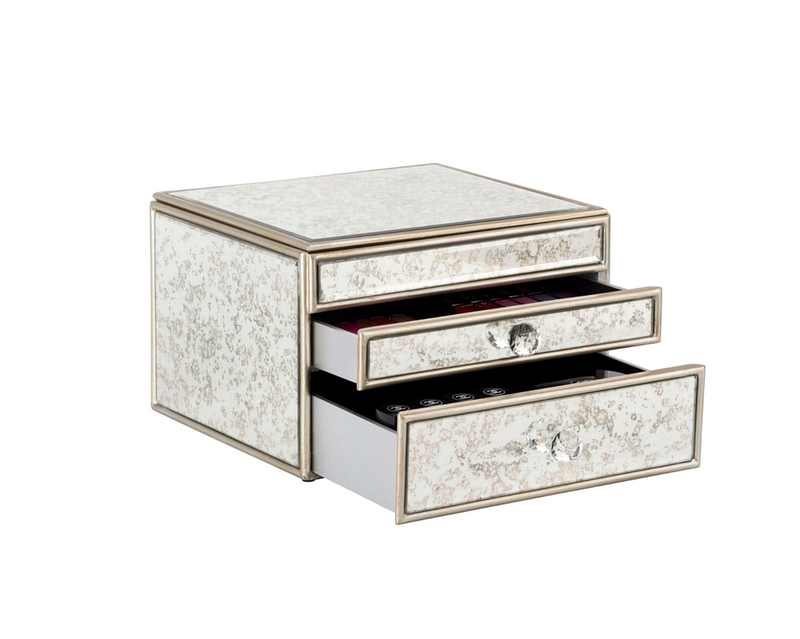 I love to do my makeup in the mirror of the flip top lid. 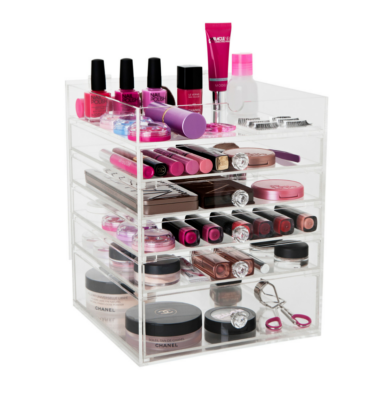 It’s so tidy and holds a good amount of my makeup. Love it, buy it!! 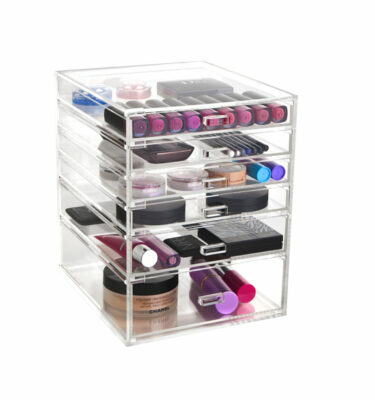 I completely fell in love with the Mirrored Storage. So glamourous! 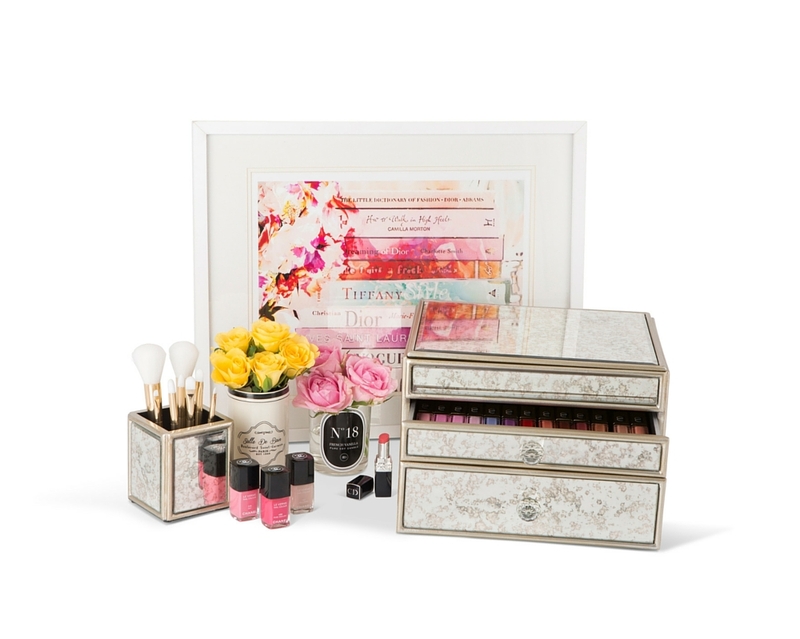 As a makeup artist, it doesn’t hold all of my makeup collection (I do have A LOT of makeup) however, it still holds an amazing amount of makeup. I’m so in love with it and so happy it’s now sitting perfectly on my dressing table making everything look that little bit more special!